Have you ever had a cat run away to die? – If Animals Could Talk . 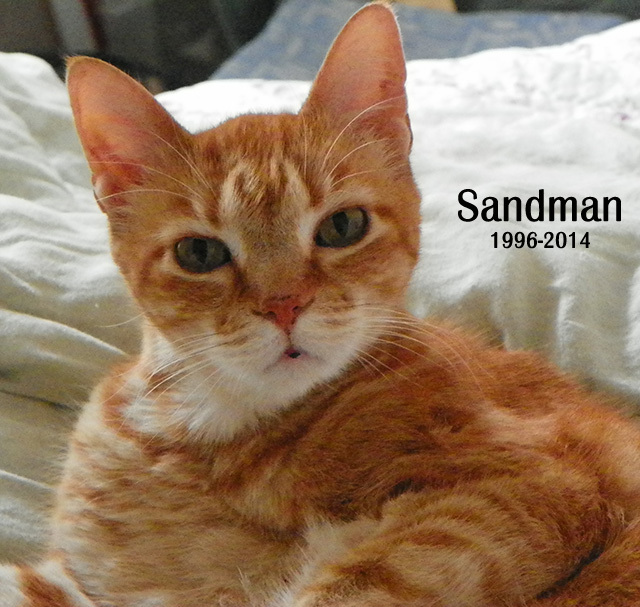 . .
Just months after losing Tabatha, it’s with a heavy heart I share the lost of my other yellow tabby, Sandman. Sandman had recently lost weight and was exceedingly thirsty. I found this article about the signs of dying online but because Sandman had a healthy appetite and still sat with me outside, when he wanted out the other Sunday, I didn’t think twice about it. Unfortunately, he climbed and jumped over the fence running off into the dense forest. For two weeks I pushed my way through branches and itched from the hundreds of bugs as I looked and called for him daily behind our home. Sandman was never to be seen or heard from again. I had heard cats run away to die, and found this article. I suspect that’s what Sandman did. Have you ever experienced this? All we can do is take comfort in the fact that our beloved pet is just beyond the Rainbow Bridge, playing with the other beloved furry family members until the day his human family joins him. This entry was posted in cats run away to die, death of a pet and tagged austin pet photographer, cat, Pet, Pet Death. Bookmark the permalink.